Capitalists@Work: Will Glencore be the new Lastminute.com? Will Glencore be the new Lastminute.com? 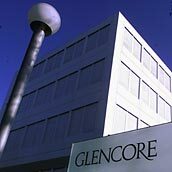 Glencore, a huge secretive partnership that controls much of the world's commodity trade, has had an embarrassing few weeks as it looks to do an IPO that has a sole reason of making its staff billionaires and millionaires. They don't say this, but the IPO papers put together don't have much of a story to tell as to why they need all this external investor money. Of more interest, is the sell-off in the commodity markets of this week. They had been on a big bull run so these things always correct, but the sell -off is sharp. One is reminded strongly of former top of the market deals, RBS buying ABN AMRO and Lastminute.com listing in the hype of the internet boom - and this is just UK deals. in the US you have AOL-Time Warner the daddy of all bad deals. Glencore is yet to hit the market, but the joie de vie is draining fast. Glencore's float will be stage managed (by underselling to tracker funds, the initial price will be at the low end of the range etc) to make it go up on its first day - but when we look back in a year's time - will we see this as the moment of hubris? There's a nice little story in the back of Private Eye about the dodgy shenanigans at Glencore and it's surely very smelly with the Lord Browne imbroglio and all. I guess it's fine if staff are cashing in but it seems rather risky. @Nick - I think the QT thing is rigged with Miss SJ being editor, Botogol is Dimblebore and Malcolm Tucker the question picker! Sounds a bit conspiracy theory, CUS. QT rigged ?! commodities rigged ?! where can we go for some innocent fun ?? It is clear that C@W is a conspiracy. Clearly referring to people in the news skiing. This happens at Davos, where the World Economic Forum meets. Nick Drew is actually Tony Blair (who should have warts but probably does not) and this site is a front for the Bilderburg group.